The majority of people usually say that they don’t believe in horoscope, but still, practically everyone reads and listens to it every single day. We would like to introduce our App. If you want to have a compass for life navigation, daily horoscope 2019 is the one you need. Each personal prediction is written rather briefly and informatively. Finally, you will get customer notifications, to never miss any of daily horoscopes. Wish you to enjoy your fate with THE BEST DAILY HOROSCOPE 2019. Get it now and start understanding yourself better every day! Our horoscope is written by the most experienced specialists in astrology. Everything you need - just click DOWNLOAD app, set your name, the date of birth, sign up for trial and get horoscope. Subscription Horoscope_month costs 19.99$/month. Subscription gives you access to detailed daily and weekly, health, love and work future prediction every day and ads-free experience. You can try 3 or 7-days for free. Horoscope_month is an auto-renewable subscription plan: $19,99/month. This subscription will be charged to iTunes account at confirmation of purchase and auto-renews at the end of each month at $19,99, unless canceled at least 24-hours in advance before the end of the current period. Minor fixes before big changes! 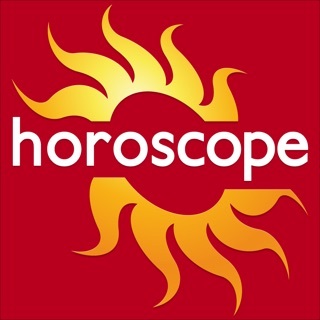 Enjoy your predictions with Daily Horoscope App 2019! Greetings! Your review is highly appreciated. We are happy to know that you like our astrology and horoscope app. Our mission is to make astrology available to everyone, to help people attain positive life changes. Thanks for using our app!